Culbertson has built his text around the ideal of Christian wholeness and maturity—a healthy interconnectedness of self-within-community. The heart of the book lies in its presentation of the three schools of counseling theory that Culbertson finds most helpful: family systems theory, narrative counseling theory, and object relations theory. Each of these is explained in detail, and then applied to the most common and challenging of counseling situations: pre-marital counseling, marriage counseling, divorce counseling, counseling gay men and women, and grief counseling. 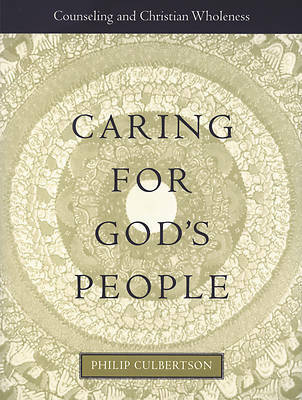 Culbertson brings new sensitivities to the counseling scene—a more nuanced grasp of gender, a new sense of families, issues of sexual orientation, a strong sense of the relationship of emotions to spirituality, an empathetic attitude, a pragmatic but professional mix of ancillary theories, and a sense of the relevance of the counselor’s own self-understanding.